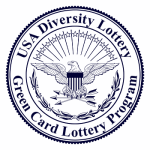 Online registration for the Diversity Lottery 2014 Program started on Tuesday, October 2, 2012 at 12:00 noon, Eastern Daylight Time (EDT) (GMT-4), and concludes on Saturday, November 3, 2012 at 12:00 noon, Eastern Daylight Time (EDT) (GMT-4). The congressionally mandated Diversity Immigrant Visa Program is administered on an annual basis by the US Department of State and conducted based on United States law, specifically Section 203(c) of the Immigration and Nationality Act (INA). This law provides for a class of immigrants known as “diversity immigrants,” with visas made available to persons from countries with historically low rates of immigration to the United States. For Fiscal Year 2014, 50,000 diversity visas (DV) will be available. Any African is eligible to apply for the Diversity Lottery if they have either a high school education or its equivalent, defined as successful completion of a 12-year course of elementary and secondary education; OR two years of work experience within the past five years in an occupation requiring at least two years of training or experience to perform. To apply for the Diversity Lottery go to: www.dvlottery.state.gov.